Technology vendors and law enforcement agencies need to look for a compromise that allows police to gain access to encrypted devices during criminal investigations, lawmakers say. Many tech vendors and privacy advocates have suggested there is no available compromise between strong security for device users and police access to encrypted communications. But members of a congressional committee on Tuesday pushed both sides in the ongoing encryption debate to look again for a possible middle ground. As Apple and the FBI continue to argue in court about whether the company should assist the agency with unlocking iPhones, "it's time to begin a new chapter in this battle, one which I hope can ultimately bring some resolution to the war," said Representative Tim Murphy, a Pennsylvania Republican. Many lawmakers see both sides of the issue, with encryption protecting consumers' personal information but also allowing criminals to hide their activities, Representative Diana DeGette, a Colorado Democrat, said during a hearing of the House of Representatives Energy and Commerce Committee's oversight subcommittee. Tech companies and privacy advocates haven't offered constructive solutions to the problem, DeGette said. "I think many of these arguments are valid, but I've only heard what we should not do, not what we should do collectively to address this problem," she said. While Apple general counsel Bruce Sewell testified during Tuesday's hearing, Facebook and WhatsApp declined to send employees to appear, DeGette noted. "It's hard to solve a problem when the key players won't show up for this discussion," she said. "Relying on Congress to, on its own, pass legislation in a very complex situation such as this is a very blunt instrument at best." DeGette and Representative Yvette Clarke, a New York Democrat, suggested the FBI could pump up its technical expertise so that it doesn't have to rely on tech vendors or outside security experts to crack encryption and other security measures. "Enhancing the government's technical capability is one potential solution that does not mandate backdoors," DeGette said. But it's unlikely that the FBI can hire the experts it needs to keep up with new encryption services that continue to roll out, said Amy Hess, the FBI's executive assistant director for science and technology. Instead, in some cases, the FBI will hire outside hackers to attempt to break into phones, she said. "Technology is changing very rapidly," Hess said. "We live in such an advanced age of technology development, and to keep up with that, we do require the services of specialized skills that we can only get through private industry." As an alternative, tech vendors should go back to security services where they hold the encryption keys of their users' devices, suggested Charles Cohen, commander of the Office of Intelligence and Investigative Technologies in the Indiana State Police. When Apple and other tech vendors held user encryption keys, there were no reports of major breaches, Cohen said. "Essentially, what happened since is, Apple solved a problem that doesn't exist," he said. Apple and Google are making decisions on their own about law enforcement issues by enabling encryption by default on their smartphones, added Thomas Galati, chief of the Intelligence Bureau in the New York City Police Department. 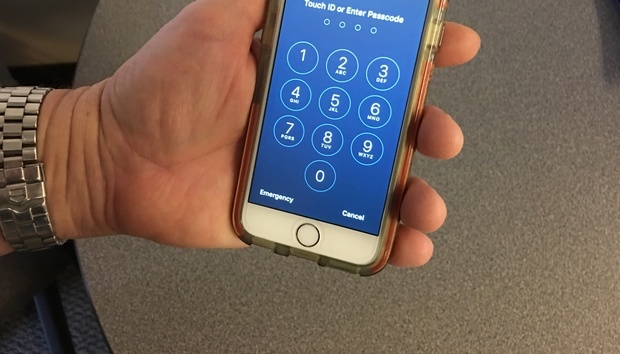 Between October and March, the NYPD was locked out of more than 100 encrypted devices, including 67 Apple devices, used by criminal suspects in murders, rapes, and other cases, Galati said. Law enforcement agencies are left in a "precarious position" not created by elected officials or U.S. law, he added. "Instead, it is created and controlled by corporations like Apple and Google, who have taken it upon themselves to decide who can access information in criminal investigations," Galati said. But mandating encryption workarounds will lead to security problems for device users, said Apple's Sewell. "Our digital devices, indeed our entire digital lives, are increasingly and persistently under siege from attackers," he said. "This quest for access fuels a multibillion-dollar covert world of thieves, hackers, and crooks."